12f2.2 indel reported in D men in Ewis et al., 2001, at 88 base pairs is too long to include here. Private SNP N3 is located under M174 and is known to be ancestral for SNPs N1 and M64.1. Listed 6 Apr 2006. N2 is downstream of N1. Listed 5 August 2012. Y-DNA haplogroup D is seen primarily in Central Asia, Southeast Asia, and in Japan and was established approximately 50,000 years ago. The high frequency of haplogroup D in Tibet (about 50%) and in Japan (about 35%) implies some early migratory connection between these areas. Examination of the genetic diversity seen in subgroup D1b-M64.1 in Japan implies that this group has been isolated in Japan for between 12,000-20,000 years. The highest frequencies of D1b-M64.1 in Japan are seen among the Ainu and the Ryukyuans. Studies have also reported samples from unspecificed D subgroups in southeastern Asia. Cristofaro et al, Afghan Hindu Kush: Where Eurasian Sub-Continent Gene Flows Converge. PLoS ONE 8(10): e76748. doi:10.1371/journal.pone.0076748, 2013. Ewis et al, Two Y-chromosome-specific polymorphisms 12f2 and DFFRY in the Japanese population and their relations to other Y-polymorphisms, The Journal of Medical Investigation, 49(1-2):44-50, 2001. Li et al, Paternal Genetic Affinity between Western Austronesians and Daic Populations BMC Evolutionary Biology, Vo. 15(8), p. 146, 2008. Naitoh S, et al, Assignment of Y-chromosomal SNPs Found in Japanese Population to Y-chromosomal Haplogroup tree. Journal of Human Genetics, 2013 Feb 7. doi: 10.1038/jhg.2012.159, 2013. Su et al, Y-Chromosome Evidence of Earliest Modern Human Settlement in East Asia and Multiple Origins of Tibetan and Japanese Populations. (abstract) BMC Biology 2008, 6:45, 2008. Tajima et al, Genetic Origins of the Ainu Inferred from Combined DNA Analyses of Maternal and Paternal Lineages, Journal of Human Genetics, 49:187-93, 2004. Xue et al, A Spatial Analysis of Genetic Structure of Human Populations in China Reveals Distinct Difference between Maternal and Paternal Lineages. European Journal of Human Genetics, 16:705-17, 2008. 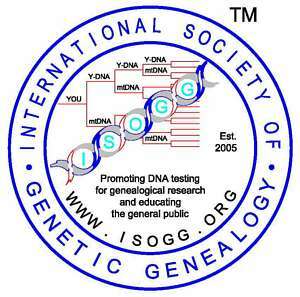 D Haplogroup (YDNA) Project, Ray Banks. Added Z45993, Z45994, Z45995, Z45996, Z45997 to tree investigation on 1 February 2018. Added Tajima et al. to bibliography on 12 February 2018.